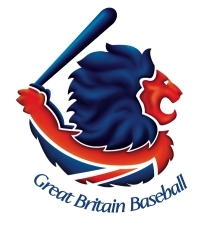 British Baseball Beat is taking a break for this week, but I can’t let things pass without adding onto my Twitter comments here by highlighting Great Britain’s current involvement in the European Championship B-Level qualifying tournament. Team GB had a disappointing time of things in last year’s European Championships, finishing 13th out of the 14 teams and effectively relegating them out of the A-group of teams. This means that they need to get through a qualifying tournament to make it back to the Euros next year. The competitors in the group are Bulgaria, Poland, Slovenia, Switzerland and the Ukraine and Team GB are seen as favourites, but we all know that easy games in international competition are rare and if you’re not fully on the case, an inspired day on the mound by your opponent’s pitcher could see you in trouble. The event started on Monday and so far it’s all going to plan with Great Britain unbeaten after three games. The host nation Switzerland put up a real fight in the opening game and only trailed by a single run, 5-4, before Team GB put together a six-run eighth inning to eventually ease away to a 15-4 win. Game Two against Poland was ended early after seven innings with GB leading 13-3 and Wednesday brought another ‘mercy-rule’ win, this time a 12-0 victory over Slovenia. It’s great to see the hard work put in by the players and their families, coaches and volunteers being rewarded with well-deserved call-ups to the senior team. Add on the impressive Farnham Park facility now being up and running and there are plenty of reasons to be optimistic for the future of the game here in Britain. Here’s hoping there will plenty of people sitting in those seats cheering on Team GB for many years to come.